OK I don't fully endorse the Simpsons but I do often think that they are funny. 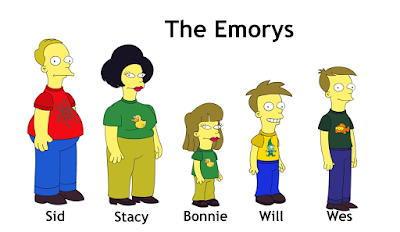 If my family were on the Simpsons this is what we would look like! Click on the image for a larger version.